To be a WHH Nurse or Midwife really is something amazing. If you are caring, compassionate and have a commitment to strong person centred care, we are confident we will find a role that suits you. Whether you are seeking a bright new career or ready for a change we have a range of opportunities for you within our 8 clinical business units, Theatres and outpatients across our two sites, Warrington and Halton. WHH is committed to supporting our nursing workforce to be the best they can be. We recognise the important of continual professional development and we have a team to support you in partnership with mentors and preceptors across the Trust. Together they will provide information advice and guidance to you in practice, from apprenticeships at all levels to student nurses, comprehensive preceptorship programme, clinical supervision and clinical skills and simulation training. We have a designated Consultant Nurse that supports our development programme for advanced practice in partnership with our local HEI. The WHH Nurse or Midwife will have a competency framework as we seek to support all of our team to be the best they can be. If it's a certain specialism you're interested in, then our Registered Nurse with a Specialist Interest role will be the perfect platform to support your development. To work as a Nurse or a Midwife in the NHS, you must be registered with the Nursing and Midwifery Council (NMC), which means you'll need a degree in Nursing. If you don't have a degree and/or you're not studying towards one, the good news is at WHH pride itself on the development of its staff and there are plenty of clinical support roles available many of which can be converted into a Nursing Degree, if this is for you please see our Clinical Support Roles. Being a medium sized hospital you are never lost in the numbers and we care about you, because we care about our patients. 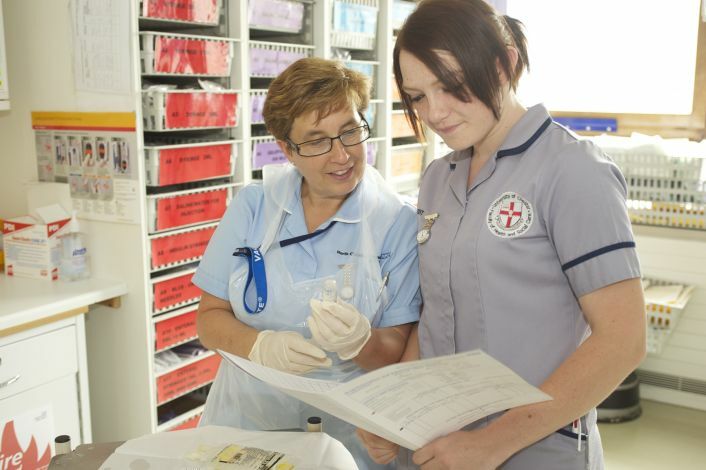 Find out more about Nursing in our Clinical Business Units below. This strategy has been developed by our own nurses, with consideration into how we can link to the National Nursing and Midwifery Strategy and to our well established Quality, People, Sustainability (QPS) framework, whilst still maintaining the unique role that our nurses, midwives and health care support staff have here at Warrington and Halton Hospitals. Our ambition is that our Nursing and Midwifery Strategy will be owned by nurses, used by nurses and sets out a plan for nurses over the next 3 years. Our aim is to empower the nursing and midwifery workforce to ensure their voice is heard in relation to our Trust vision, objectives, and values. Nurses already holding an Nursing and Midwifery Council (NMC) registration or working towards it will discover an abundance of development oppertunities here at WHH. It starts with a comprehensive induction and preceptorship programme for newly qualified staff and you'll then find opportunties to work across specialties supporting your continuous development. We offer a range of classroom based training courses, e-learning programmes and where possible, will seek to support achieving nationally recognised qualifications. The Digestive Diseases Clincial Business unit strives to ensure that all patients and relatives recieved high quality, compassionate care, delivered in a professional and courteous manner. We aim to deliver this care in a calm, calm, well-organised enviroment where patience, understanding and tolerance are valued by patients and staff alike. We recognise that our ward has respobsibility to our patients and a role to plat within the hospital in the development of excellence in surgical nursing. To this end we promote research based practice and the pursuit and dissemination of nursing knowledge. We value the unique contribution made by each memeber of the health care team within the unit. We strive to promote a friendly pleasant co-operative enviroment and the development of a leaming culture in order that each healthcare worther will be able to achieve his or her potential within the team. Currently we've cared for over 33,000 surgical intervention patients in our operating theatres, many of whom are complex patients with multiple co-morbidities requiring a multi-disciplinary approach to their care. We have 19 operating theatres across three sites, catering for a wealth of specialties; Elective, General Surgery and Trauma and Orthopaedics. In addition to our elective case load, we facilitate an emergency service and deliver surgery at the bedside where clincally required. We offer a 24 hour,365 day a year service. Our highly skilled, multi-disciplinary team in theatre recognise surgery can be difficult time for families and patients. We respond to individual needs, providing reassurance and are dedicated to providing patients and their families and carers with the safest and highest quality care. Our theatre department is a busy, interesting and exciting place to work. Staff have the opportunity to work in anaesthetics, scrub and recovery. All new staff are given a bespoke orientation programme and a preceptor will be allocated to ensure smooth integration into the department and the team. All staff members are supported by the Theatre Practice Education team to ensure continuing professional and personal development. Staff are encouraged to multi-skill and expand their knowledge and expertise. Through and expertise of leadership our theatre managers work closely with all the teams and clinicans bringing innovation to the fore front of our theatre department. Patient safety is at the front of our theatre strategy working in confunction with other hospital theatre departments to make sure we provide a world class service. Being committed to the continual professional development of its nursing workforce, in 2017, the trust introduced a new 12-month preceptorship programme for all newly qualified practitioners (including practitioners who were new to an acute trust). The programme aims to enable nurses to become safe, autonomous and multi-disciplinary practitioners. The programme is led by the clinical education team, including colleagues from the simulation team and specialist nurses, and is supported by the trust board, executive colleagues and all ward managers, matrons and lead nurses. Newly qualified nurses start with a bespoke two-week programme of clinical skills and information to empower them at the start of their career journey. Continues support is given throughout the year which includes monthly teaching sessions, clinical supervision, simulation sessions (at two-week, six months and 12 months), access to supportive clinical educators and preceptors in each area, core competencies, resiliance training and access to mentorship programme at 12 months. The feedback recieved from the current preceptess is extremely positive. Once ICU nurse said: "I started my preceptorship in September 2017. I was welcomed by an amazing ICU family who helped me learn and go forwards as an ICU nurse. To this day, I still ask my preceptor millions of questions. I couldn't thank her and all the ICU and the clinical educators enough for making my first 12 months at Warrington and Halton Hospitals an amazing one." As the programme is relatively new to the trust, retention figures will be compared with those prior to the prgramme starting. The trust is introducing the collaborative learning in practice model for student nurses and they hope to see recruitment and numbers of staff coming onto the preceptorship programme rise. Director of HR and OD, Michelle Cloney, said: "Preceptorship is quite simply the key to providing each newly qualified nurse with tailored support so that they know that we care about them, the challenges they face, and we recognise that they are continuing to develop the knowledge and skills needed to provide the quality of care we expect for our patients. "It also provides an excellent opportunity for our nursing workfroce to coach, guide, continuously develop and be part of ensuring that our future workforce is valued, respected and committed to our trust. Having demonstrated the powerful success of preceptorship, our next steps include rolling this out to other professional staff including our operating department practitioner colleagues, nurse associates and therapy staff." See how newly qualified nurses are supported at WHH here. 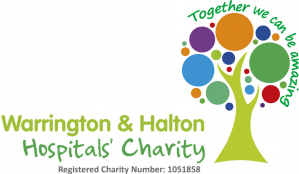 An opportunity has arisen for a permanent post of Sister / Charge Nurse to work within the Intensive Care Unit at Warrington & Halton Hospitals NHS Foundation Trust. We are looking for a passionate band 5 staff nurses with experience (QIS) or who has a minimum of 12 months neonatal experience post registration to join our working family. Are you passionate about Orthopaedic Theatre, then we would really like to hear from you. Come and join the home of SoR's 2018 NW Team of the Year! We are looking for a friendly and enthusiastic Sonographer to initially cover a maternity leave until January 2020. We are a busy, positive and forward thinking department who take pride in the high standard of care we provide. An opportunity has arisen for a permanent post of Staff Nurse to work within the Intensive Care Unit at Warrington & Halton Hospitals NHS Foundation Trust. An exciting opportunity exists for an Advanced Nurse Practitioner to join our Respiratory Team at Warrington Hospital.